A handful of new teams made their debuts in this format after not playing on Saturday. Slovenia, Belgium, and Finland joined in as Latvia, Poland, and Sweden did not play. All of the other groups have seen all teams playing two games now. Slovenia saw their first action, controlling the second half in Kedainiai to record a key 73-64 road win in Lithuania. Croatia shook off a sluggish start in Tallinn to win 67-55 in Estonia as Shavonte Zellous led the way. France eventually pulled away from the Netherlands to win 76-52 in Amsterdam. Great Britain got off to a good start in Manchester, but Italy stormed back and left with a 60-48 win as the return of Laura Macchi to the team proved fruitful. 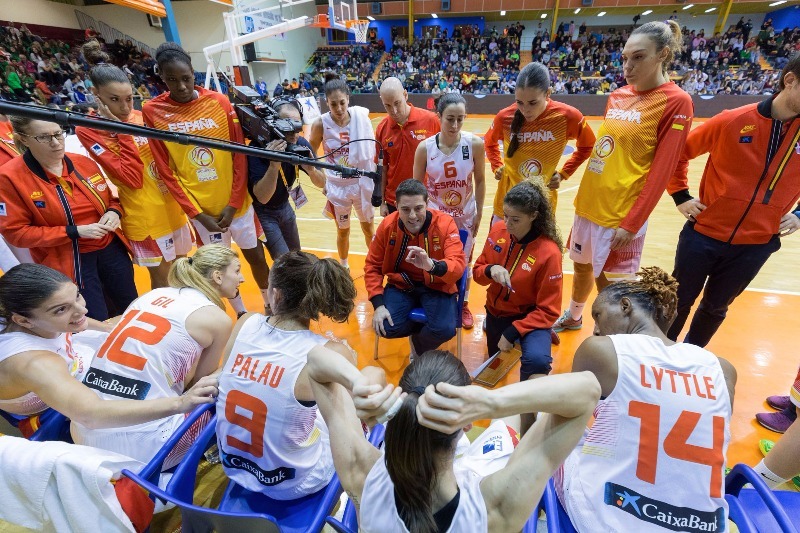 Montenegro welcomed Albania to Podgorica and eased to a 99-39 win. Ukraine escaped Germany with a 66-64 win in Marburg in one of the closest games of the day. Alina Iagupova picked up where she left off in the summer although she finally had a little bit more help. Serbia did not ease up, going to Luxembourg and rolling to a 132-38 win with Sonja Petrovic leading the way. The Slovak Republic made the trek to Reykjavik and beat Iceland 72-55 as Anna Jurcenkova recorded an impressive double-double. Hungary traveled to Ilhavo and beat Portugal 67-50. Greece went to Ruse and beat Bulgaria 74-40 with their usual trio of stars. Russia kept pace with them by going to Fribourg and beating Switzerland 86-48 as young Maria Vadeeva led the way. Belarus was finally at full strength as Lindsey Harding arrived in time to face Belgium in Minsk. They needed all of their players with Anastasiya Verameyenka leading them to win 76-71. Emma Meesseman was unstoppable for Belgium finishing with 31 points and 17 rebounds as the visitors made their qualification debut. The day’s most exciting game took place in Tel Aviv, where Romania beat Israel 78-77 despite a big game from Alysha Clark. Turkey went to Tuzla and beat Bosnia and Herzegovina 79-50. Spain seized firm control of the group by bringing Finland to Zamora and welcoming them to the campaign 86-45.